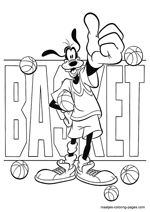 Goofy is an animated cartoon character from the Walt Disney's Mickey Mouse universe, and is one of Mickey Mouse's best friends. 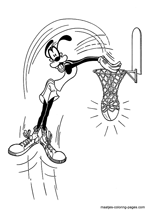 His original concept name was "Dippy Dawg" in cartoon shorts created during the 1930s; then his name was given as "George Geef" or "G.G. 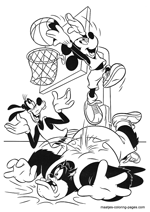 Geef" in cartoon shorts during the 1950s, implying that "Goofy" was a nickname. 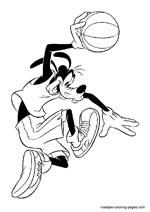 Contemporary sources, including the Goof Troop television show and A Goofy Movie, now give the character's full name to be Goofy Goof. The Goof Troop pilot also refers to 'G. G. Goof' on a diploma, likely a reference to the 1950s name. 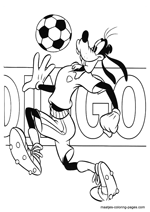 On the other hand, the comics sometimes refer to him as Goofus D. Dawg. 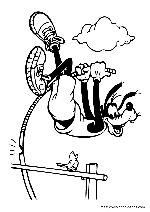 Along with being not intelligent, Goofy's main flaw is, predictably, clumsiness. His birthday is May 25, 1932. Goofy is a V.I.P. member of the Mickey Mouse Club. 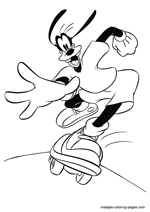 Goofy first appeared in Mickey's Revue, first released on May 25, 1932. Directed by Wilfred Jackson this short movie features Mickey Mouse, Minnie Mouse, Horace Horsecollar and Clarabelle Cow performing another song and dance show. Mickey and his gang's animated shorts by this point routinely featured song and dance numbers. 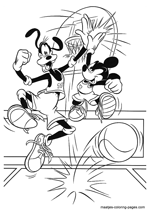 It begins as a typical Mickey cartoon of the time, but what would set this short apart from all that had come before was the appearance of a new character, whose behavior served as a running gag. Dippy Dawg, as he was named by Disney artists, was a member of the audience. He constantly irritated his fellow spectators by noisily crunching peanuts and laughing loudly, till two of those fellow spectators knocked him out with their mallets (and then did the same exact laugh as he did). 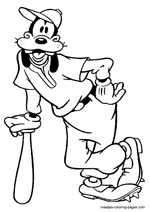 This early version of Goofy had other differences with the later and more developed ones besides the name. He was an old man with a white beard, a puffy tail and no trousers, shorts, or undergarments. 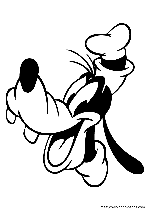 But the short introduced Goofy's distinct laughter. This laughter was provided by Pinto Colvig. 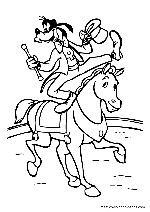 A considerably younger Dippy Dawg then appeared in The Whoopee Party, first released on September 17, 1932, as a party guest and a friend of Mickey and his gang. 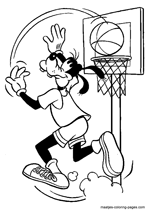 Dippy Dawg made a total of four appearances in 1932 and two more in 1933, but most of them were mere cameos. But by his seventh appearance, in Orphan's Benefit first released on August 11, 1934, he gained the new name "Goofy" and became a regular member of the gang along with new additions Donald Duck and Clara Cluck.